Welcome to what is officially the first Digest of the year! I hope that you have all had a good 2012 and a Happy New Year, too! And what better way to start than with the last batch of news from 2012! I basically got Ray's Best Idol Blogger of the Year 2012 Award. DAFUQITTY WHAT? When I became I a part of Idolminded I kind of never expected to get that award, and so when we wrote out our Idol bloggers of the year, I expected someone else to get it, like Selective Hearing, you know? So when a friend told me 'You got Blogger of the Year on Idolminded' I was like 'dafuq?' before screaming when I saw that indeed I had. Again... DAFUQ? Regardless of how mind-blown I am, I am seriously freakin' HAPPY. I didn't think that I would get it, but I did. As Ray says, I am not the best *writer on the Idol blogging scene, and I am fully aware of that, hence why I never thought I would get this achievement in my life. I am extremely flattered by it, I won't deny it, and it's made me somewhat big headed that this has happened... and again, flattered, but still so very surprised that I was able to obtain it. Again, I am still DAFUQing the fact that I got it. I decided to choose the first PV and Idol song that I started the year with, which is coincidentally Not Yet. When I was celebrating ringing in the new year with my family, I think I did something and my sister decided to put the song on, or she just felt like putting it on. Either way, we both adore this song and it was the first thing I listened to that was Idol related for the start of the New Year. Let's get into the New Year and hit it off with the first poll of 2013, shall we? Wow, this Digest is experiencing a lot for the first day of 2013, right? Which Groups are you most looking forward to this 2013? Now fair warning guys, this is going to be a pretty long list - I'm including a few groups that I think a few of you like and some of my own personal favourites as well! Of course it will be another multiple choice answer, so please choose all the groups you are anticipating the most this 2013! Iida Kaori has announced that she is pregnant with her second child! Hearing this news is extremely wonderful for everyone! As many will know, Iida did have a son before, however he died just 6 months after his birth. This news for many fans will be happy, but also scary. Hopefully Iida herself will be looking forward to the birth of her baby, but no doubt will she also be a bit scared for her baby's life as well. Wishing you well Kaorin and I hope that you deliver a healthy baby who will give you great joy in your life. The Logo's for the Hello! Project 2013 Winter Concerts have been revealed! And boy, don't they look swanky? Let's just say WOW! Now UFP, please translate this quality of editing and graphic design to Hello! Project's bloody single covers! PLEASE!!! The up-coming Hello! Project Winter concerts will be broadcast in a number of cinema's across Japan and in Taiwan. This is great news for fans in Japan and Taiwan who can not make it to the concert hall, or for those who can't buy tickets to the performance. Hopefully many fans will check out the concert performance in cinema's close to them! SKE48 have revealed the title of their 11th single! It will be titled Choco no Dorei, and is set to release on January 30th 2013. This will be the groups first Valentine's Day song, and the music video was shot at their new Theatre which has just opened. The PV was also revealed to fans who were at the Theatre on December 25th as a surprise Christmas present. It's great to see rehearsal footage and to see the girls working hard for their fans. The preview itself is going to really excite those who are going to see the concert and it also shows us all the hard work that has been put into the concert itself by the girls and how well they all work together as a team. Please check it out and be prepared for the concert! THE Possible, Up Up Girls and Kikkawa Yuu will be guest performers at the up-coming Hello! Project Winter concerts. This is really interesting, though not new, to see three acts formerly a part of Hello! Project appear at the H!P concerts to perform and promote themselves. I guess what I find interesting is the fact that there are three acts, as well as Tazaki Asahi who will be performing in the winter concert. BUT this is great news for fans of these three acts (especially Up Up Girls fans and THE Possible fans, they must be crazy happy to see them perform) because it means that they get a chance to see their favourite groups perform and possibly find or rekindle new love in Hello! Project if they left the fandom along with these girls when they debuted. It's great to see that Hello! Project are continuing to use former members of Hello! Project Kenshuusei or Hello! Project as a whole to promote those girls and groups, as well as to bring in new fans to their concerts. Here is the cover to Up Up Girls' first album, so please take a look! 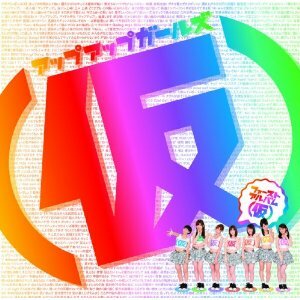 The cover is really simple, and reminds me of all the colours used for 13 Colorful Character and the 15th Anniversary Morning Musume concert logo, but it looks good too! The girls themselves are smaller, emphasising their name more than anything. Overall the cover is nice, simple but stands out. Hopefully people will be able to reserve a copy because there will be some great songs on this album for sure! Ikuta Erina, Sayashi Riho, Iikubo Haruna and Kudo Haruka promote the 15th Anniversary Hello! Project fanclub campaign! Firstly; those little hats and bows! Squee!!! So damn adorable! Anyway, as you would expect, the video is basically the girls promoting the fanclub campaign to the fans and appealing to people with what you get through this campaign. Personally I think that the girls they picked to promote said campaign was a good move. Eripon and Harunan are both very good at talking and convincing people, especially Harunan, whilst Riho is extremely popular with the fans (Eripon is really coming into popularity too) and Kudo is quite the convincing girl and a great speaker who has a lot of enthusiasm, so these four together is a pretty good move because they all have their own reasons to make you want to sign up to the campaign! Hopefully many fans will sign up for their Oshi's! A CM for Hello! 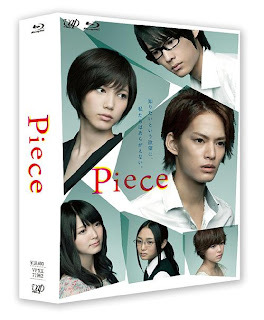 Project DVD Magazine Vol. 34 has been revealed, so please take a look at what to expect! This DVD magazine, as the preview shows, is based on a radio station, which is quite fun and different from their previous DVD magazines, but very fitting considering the boom Hello! Project girls have had when it comes to joining radio stations. The preview shows the fun that all the girls have as they take turns in being a presenter for their radio shows. A lot of fans seemed to really enjoy this series from what I have heard, and whilst I have not watched it at all, I know that Airi is a great and convincing actress. Hopefully her performance wowed her fans, and for those who enjoyed the series, hopefully you will consider purchasing the box set to see Airi perform again. The cover to the Rokkies Allo! Hello DVD has been released! The cover is so pretty, very natural and simple and just really beautiful to look at! Sayu is so happy in her image, and Reina is... well, Reina, but she looks beautiful as well! Hopefully Rokkie fans can get themselves a copy and fawn over their idols! The cover to Morning Musume's Qkies and Jyuukies Allo! Hello DVD has been revealed! Again, the cover is very natural and simple like the Rokkies, but it has a feeling of youth and calm to it. All the girls look stunning, especially Haruka and Fukumura who I am really drawn to in this image. It looks great, so any fans of the Qkies and Jyuukies, please consider ordering a copy to support an fawn over your Idols! A preview for Kikkawa Yuu's up-coming PV's has been released. Her new single, released on January 16th, will be a triple A-side that has a Valentines feel to it. The songs, in order, are Sekaijuu ni kun wa Hitori dake, Valentines RADIO and Chocolate Damashii. Chocolate Damashii is a cover to Matsuura Aya's final solo single in Hello! Project. When I saw the preview for the first time, I was really surprised to see that Kikka would be covering a Matsuura Aya song. However, as she has covered previously with her album and other songs, it isn't really so surprising either. The single will be great for all Kikka fans, and we will all be gifted this new year with three PV's and songs to enjoy from Kikka. Look forward to the full versions when they come out! 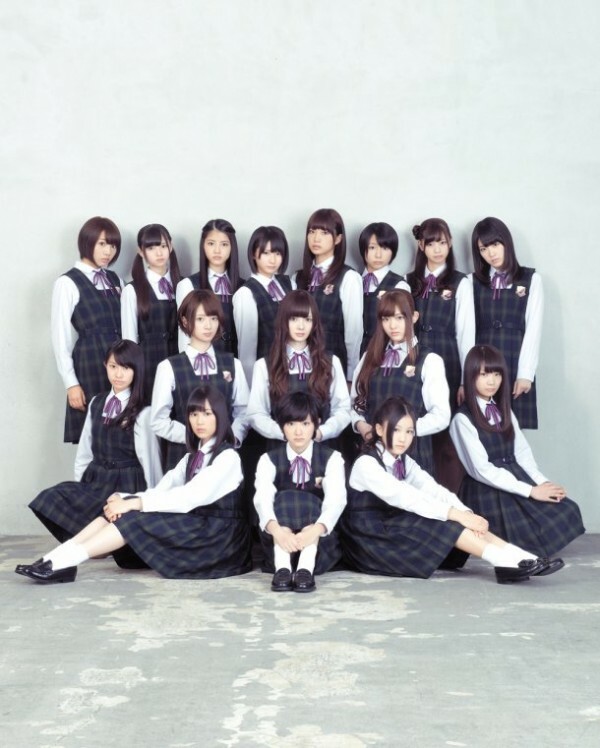 Nogizaka46 will be releasing their 5th and first single of 2013 on March 13th. Wait, they're still going on as an 'official' group, even though they're pretty bad? The cover to the 10ki's Alo-Hello! 2012 photobook has been revealed! Look at Haruka. She's so badass and boss like. You know right away that she owns the rest of the 10th gen. Young but ruthless, heck yeah! Berryz Kobou have left a video for their fans promoting their up-coming Hawaii Fanclub tour. A preview for C-ute's up-coming single, Kono Machi, has been released. The song is a cover of Moritaka Chisato's original song and has been arranged as a ballad. To be brutally honest... I am really disappointed that this song turned out to be a ballad. Whilst C-ute are probably the best vocals wise for ballads, I really was hoping that this song would be more up-beat like the original, but still mature as well. Oh well... We can't all win, can we? The PV Preview/Short PV for Morning Musume's 52nd single, Help me!! has been released. The PV shows the girls as women of the night in the city. The green screen looks better, I will admit, and the use of a fan helps make the whole video look a lot more natural as well. It all looks very futuristic and cool, and reminds me of Mikan and Naichau Kamo, minus the background being real and the girls crying. Also, LAAAAAYSERS!!!!!!! Weather Girls have performed their newest song, Koi wa Tokimeki Chuuiho, at Shibuya Girls Festival. So before you click on the video, please be aware that it IS a fan video and there is a lot of fanboying going on the video! Other than that, the video is a fun watch and allows to get a great feel of the song and how it's performed. It's catchy, and whilst not the best preview for us all, it sounds really fun and cute and perfect for an up-beat Spring tune! A preview to Grils News next episode (1/1/13) featuring Hello! Project has been released. There are clips from various lives as well as some footage containing the shooting of Morning Musume's up-coming PV for their single Help me!! For fans of Girls News, please make sure to check out the preview and then the episode when you can! It's a great way to catch to catch up on any news concerning Hello! Project and to see any previews of up-coming releases such as concerts or lives. THE Possible wish everyone a Happy New Year! Happy New Year wishes from the members THE Possible! Hopefully all of their fans can check the video out and wish the girls a Happy New Year, too! C-ute give their New Year's greetings to fans via JIJI Press. C-ute fans, here are your New Years greetings from the girls of the maturing group! Please remember to send your own New Year's greetings to the girls as a comment to the video. Berryz Kobou deliver their New Year's greetings to their fans through JIJI Press. Berryz Kobou are here to deliver to their fans New Year's greetings like C-ute and THE Possible! Please remember to send your own New Year's greetings to the girls via Twitter or youtube! S/mileage leave their New Year's Greetings through JIJI Press for their fans. Fans of S/mileage, please take your time to watch the girls give you their New Year's greetings, and please remember to take your time to comment with your own New Year's greetings to the girls. 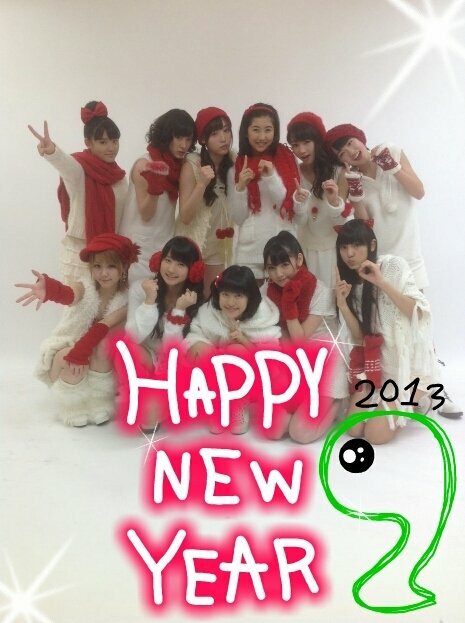 Morning Musume have given their New Year's Greetings to fans via JIJI Press. Morning Musume's lovely girls have left their New Year's greetings to their fans here, so please take your time to watch and listen to the girls. Also, please don't forget to comment via twitter, youtube or any bogs your own New Year's greetings and messages. Berryz Kobou will release their 31st single, titled Asian Celebration, on March 13th. There will be five editions, including Limited A, B, C and D as well as the Regular Edition. The news of a new single isn't surprising, though the title itself is extremely interesting and thought provoking. It may refer to the girls hitting their 9th anniversary as a group, or according to my sister, the fact that they have been promoting in Thailand, so it refers to the celebration between Asian countries. No matter what though, the title is interesting and makes me wonder what the song and PV will be like when it is eventually released. There is also a high chance that the song will be performed during the up-coming Hello! Project Hinamatsuri in March. I am anticipating the release! Please look forward to further news, everyone, and anticipate radio rips and PV previews! 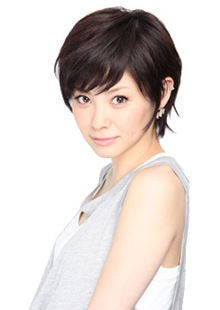 Matsuura Aya has officially announced that she will be getting married. 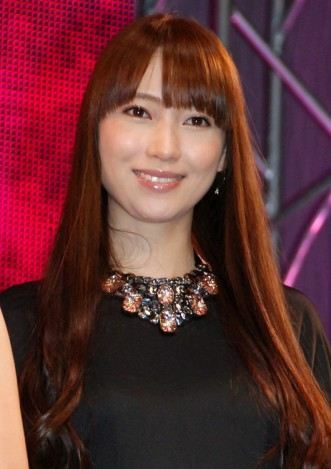 The lucky husband-to-be is Tachibana Keita, the lead vocalist of W-ind. It had previously been rumoured that they were dating. Fan boys, take out those handkerchiefs and dab those tears away, because the true soloist of H!P is getting married. This may not be big news like the surprise marriage of Yuko, but till, an Idol is getting married. Seriously though, I was surprised! The start of the year begins with a marriage announcement! What next, Takahashi Ai officially declares that she's dating that guy? And that's the last batch of 2012, ad some early 2013, news guys! It's the first day of the year, and I hope that it's been a good one for you! Whilst the early hours since it started weren't the best for me, it has really picked up in a surprising way as the day has gone on. Have a Happy New Year guys, and cheers to the on-coming Ninja-storm that will be 2013! KAMPAI!!! Just to clarify: I said you weren't the best WRITER in our community. But I definitely think you were the best BLOGGER. That is, your writing skills could be developed, but you definitely were great in conveying your ideas in a lively and vivid fashion, trying different ways to express yourself, and spreading the idol love. You brought your blogging game with every post and it showed. You were a powerhouse. And yes, you were inspiring to me! I'd like to add to Ray's comment: You inspired me too!! Not only did I have no idea anyone was a fan of my writing, but I had no idea I had regular readers. Learning that was very humbling and wonderful and encouragement that I sorely needed this year. I love your digests (they are an awesome idea) and I love the way you willingly expand your idol horizons. I really need to start doing that. You also inspired me to be a bit more personal, like the post about blogging itself. Without you, it never would have occurred to me to write that and writing it was really fun! Now I feel like it's ok to say stuff about myself a little bit. Thanks Chiima!! Congrats! And about the post now (XD): Matsuura is getting married!!! They are going to have to most gorgeous kids. I wish C-ute would have done something else for the new song. I never have the patience for ballad singles. Thank you for all the previews too! I think that everyone is like 'Another ballad by C-ute? URGH' - so many people aren't too happy with it XD. I like ballads but they go two ways; good or boring, and Kono Machi seems boring. Congratulations on the award, Chiima! Your blog is always a fun read. I swear nearly every article at some point sends me howling with laughter. I hear that's good for my health, so thank you for literally improving my life! All the best with O!MT this year, Doctor Chiima, and in your personal life as well. It's your you-ness that makes you unique and your uniqueness that makes you shine brightest. Also, as for the Piece drama, I think it's pretty good. But that's because I'm watching it for both Hokuto and Airi. There's not really enough Airi in it to keep you interested if you're just watching it solely for her.